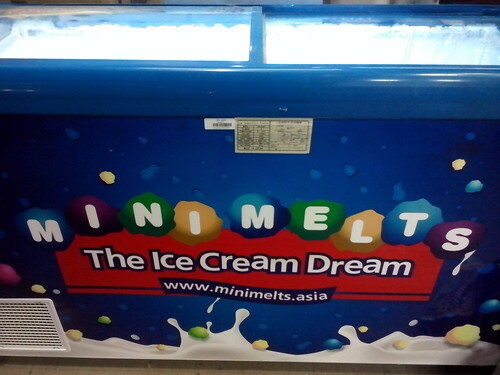 Mini Melts Ice cream advertises itself as the WORLD’s COLDEST ICE CREAM!! It seems these ice creams are made at -190 Deg. C and served at -40 Dec. C. Oooh.. that’s COLD 🙂 When I found a shop selling this ice cream around my area, I was tempted to try it. That’s the one I had (above photo). As usual, my phone camera messed up the close-up shot! I also tasted the pista flavor (green). It was nice… I like the way they melt immediately once we put them in the mouth. I guess we can’t keep it outside for long – they’ll surely melt away. They’ll have to be stored in those special coolers that keep them REALLY COLD and SOLID. What’s your favorite brand/flavor of ice cream? For me vanilla is all time favorite and I also like butter scotch and chocolate ice creams. Looks solid – ice cream. Vanilla, Butter scotch, Pista classic taste is all time favorite. I guess all these tastes are classic flavors. Somehow, I am not drawn as much towards black current, strawberry and others. They’re good, no doubt. But when these three flavors are available, I don’t prefer others! I don’t like chocolate icecream. Anything else will do! Butter scotch, black currant….no, I have to be on diet! Low milk, low sweet minimelts may give negative calories. Why? Body heat will be absorbed while eating this. Musical kisses !! drrrrrr…now that’s going to make your chin vibrate..! yummy.. had no idea such icecream existed. Is it available only in Chennai? I think it’s coming across India. It’s an American brand/company, so you can get it there. Had not heard of it before. And my favourite is dark chocolate gelato! Ice, no milk. It’s not easy to find. I had not heard of this Mini-Melts ice cream. I would definitely like to try them. 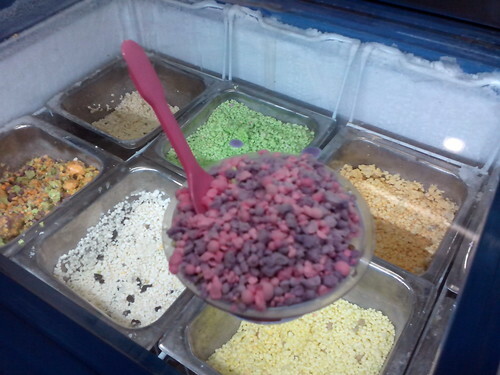 I will find out if Bangalore has a place selling these ice-creams. 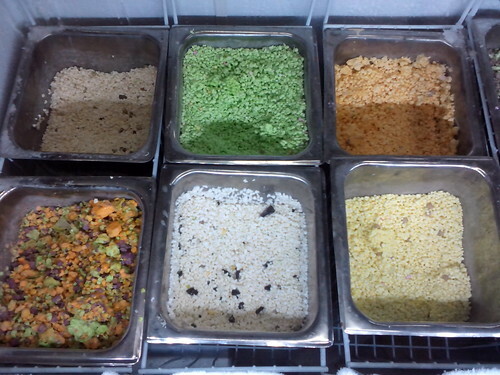 Favourite flavours would be Butterscotch, chocolate and almond praline. Actually, there are many more favourites, but these three are all time favourites. this is yummm… my fav is butterscotch…choco chips..and blueberry…..